What does it take to live a well life? For sure, we can go to a spa or to the gym and grab a green smoothie on the way home – and these are important boosts to our wellbeing, but it’s what we do every day that really underpins our vitality: self care is something we need to be mindful of all the time, not just on special occasions or when we can schedule it in. Rather than being something we do in between the unhealthy stuas a kind of antidote, a preventative lifestyle needs to be built into our existence, so we can make good choices effortlessly and consistently. Because our homes are the heart of our world, in order to be well, we need to live in places set up for this purpose. The market for home wellness is growing fast and the Global Wellness Institute (GWI) has done great work in analysing the trend with its research Build Well To Live Well, which shows wellness real estate as a US$134bn a year market, embracing everything from wellness communities to facilities in single and multiple dwellings. GWI says the sector is growing at six per cent a year and expects it to top US$180bn by 2022, with 740 wellness communities built, on-site or planned around the world. In recognition of this trend, I’m delighted to announce that we’re launching a new global consumer magazine, called Well Home, which highlights the best of consumer wellness trends for both home and holiday. You can see our first edition at wellhomeglobal.com/digital. The purpose of Well Home is clear – it’s to share inspiration and knowledge. It’s about empowerment. We don’t see home wellness competing with the industry, but being a validation and extension of it. 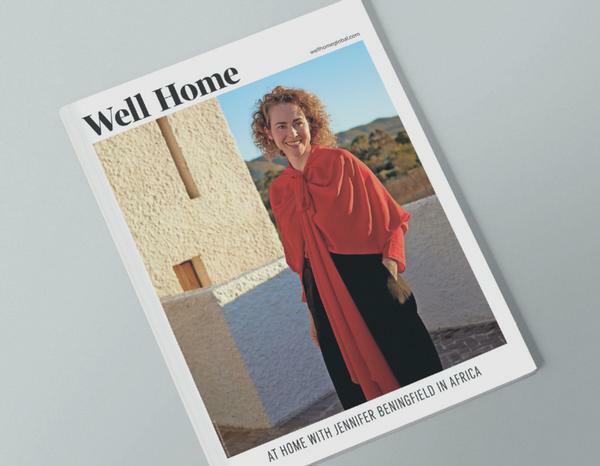 The launch of Well Home is a passion project from the team at Spa Business and we’re love to invite you to partner with us to distribute the magazine to your customers. In exchange we’re oering to publicise your business through the magazine and its website, so we can build a mutually supportive arrangement to champion wellness lifestyles to consumers all around the world. We hope you’ll join us on this exciting journey and go to wellhomeglobal.com/signup to both order your own personal copy of Well Home and to become a distribution and marketing partner of the new magazine.